One Time $25 Setup Fee for albums. One Time $9 Setup Fee for Singles or Ringtones. 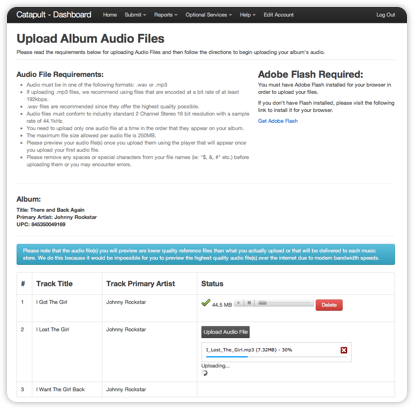 We charge a one time setup fee of $25 for each album submitted for digital distribution ($9 for Singles or Ringtones) to cover the cost of the time spent encoding/transcoding, cover art processing and metadata delivery to each music store. 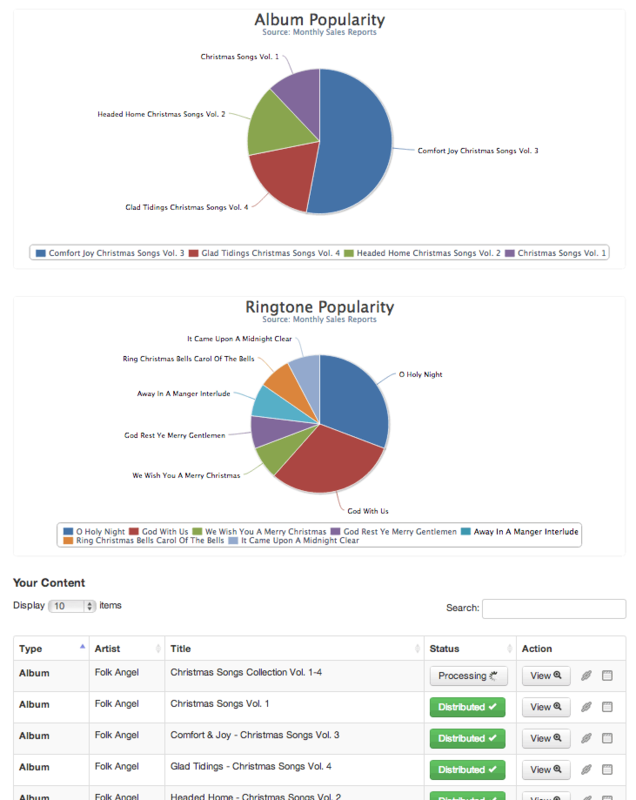 After that, we pay you 91% of the profits received from the respective music stores like iTunes. We are proud to offer our artists and labels the highest payout rate in the world. 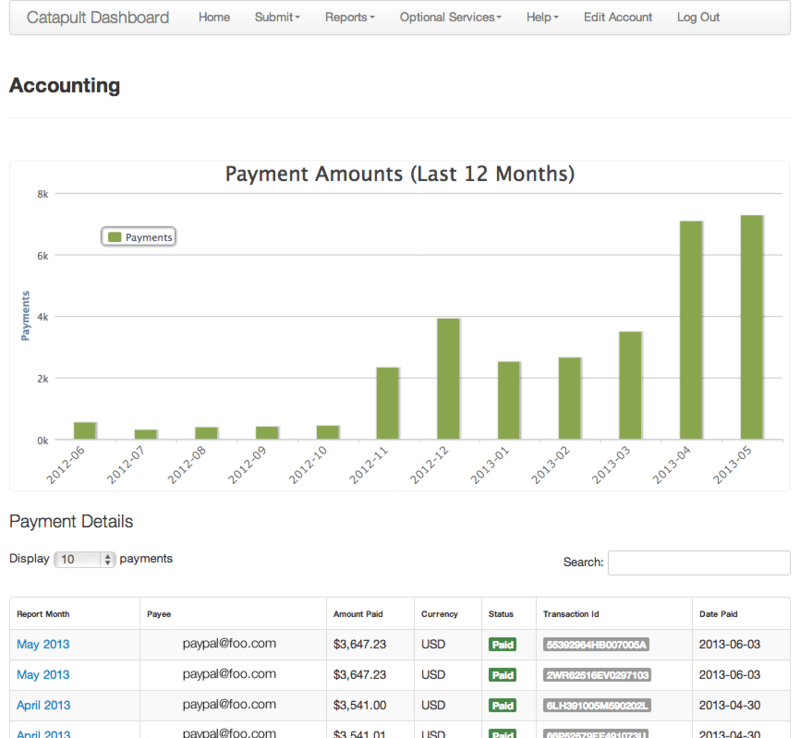 When you sign up with Catapult, you'll be receiving 91% of the sale amount received from the various music stores. If iTunes sells one of your songs for .99 cents and they pay us .70 cents, we would then pay you 91% of the .70 cents. 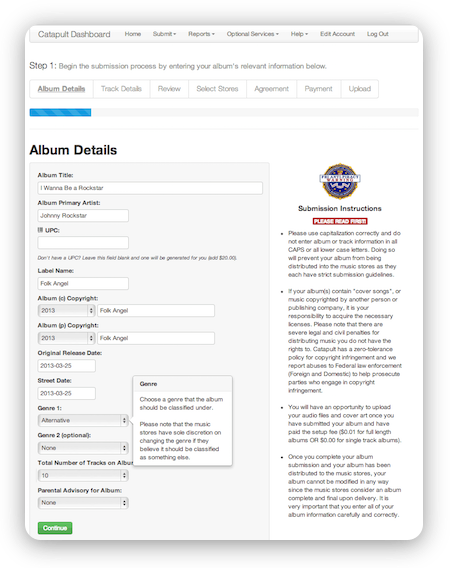 If you submit a single track album that has a track that exceeds 10 minutes in length, it is classified as a full album and you will be charged the standard $25 setup fee. If you submit an album with multiple tracks that exceed 10 minutes in length, we charge an additional $5 per each track that exceeds 10 minutes in length. All payments for sales of your albums or tracks in the music stores are made via PayPal, the global leader in online payments. It's free to sign up for a PayPal account and there are no transaction fees when we send you your payments (We pay all transaction fees on our end). If you don't have a PayPal account yet, please visit PayPal. 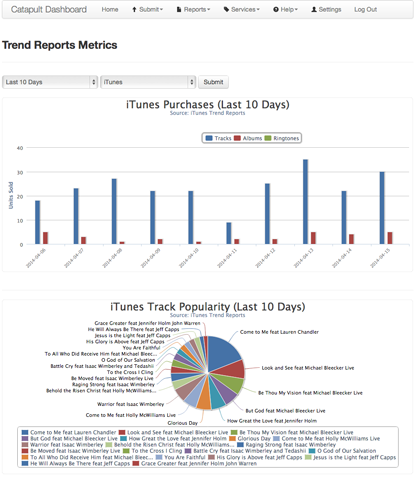 Daily iTunes and AmazonMP3 Trend Sales Reports and Metrics. We can offer discounted setup fees for labels or artists with large catalogs. Please contact Customer Service if you are interested.